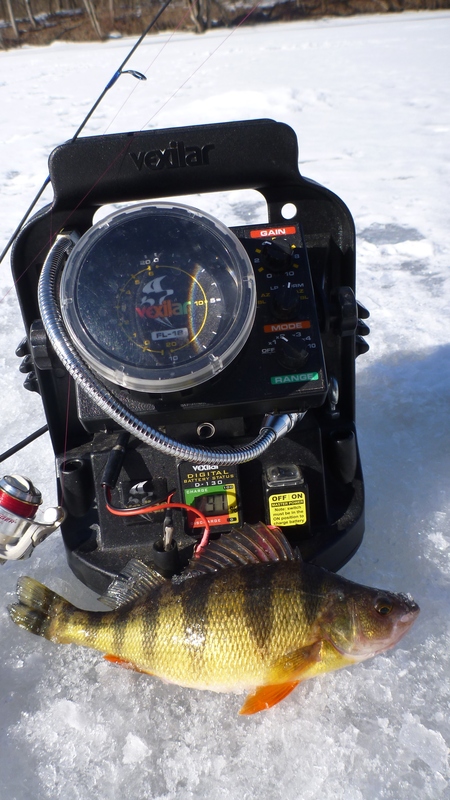 We found a local pond this winter that was holding some crappies. This was a big deal for us since our closest place to catch some crappies was a minimum of an hour driving time one way. 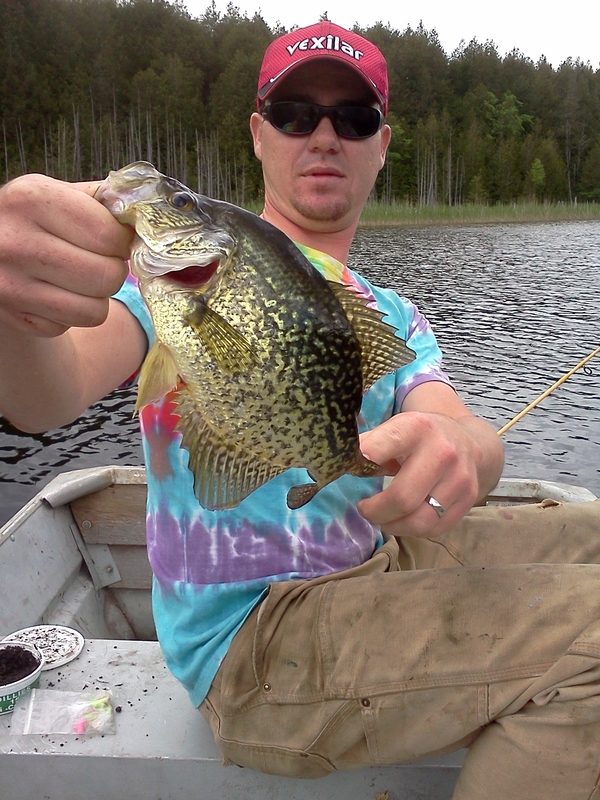 This is a small pond with an abundance of bass, perch, pumkinseed and pickerel and apparently now crappie. I was met with a strong west wind yesterday when I arrived at the launch. This would be my second trip out this week so I was still learning the pond, my Navionics app on my phone was a big help. I highly encourage anyone who spends time on the water or the ice that has a smartphone to look into it. It’s very affordable and will maximize your fishing time. Areas that I was looking for where the deep holes, sharp breaks and flats with structure (in this ponds case fallen trees and weeds) close to the deep holes and and breaks. The surface temp in Vermont has shot up quickly in the past two weeks. Yesterday I had a 70 degree reading. I knew that this meant most of the crappies had already spawned so I focused on the areas I mentioned before in hopes of finding them post spawn. Using my Navionics app noticed that the north shore of the pond had a very sharp break into 28 feet of water so I headed there. The techniques was simple, I was set up with a Bobby Garland baby shad under a bobber using my 9′ Riversider ultralight rod. I worked the bait shallow to deep cruising the shoreline with my trolling motor on a speed of one until I got a bite. I would stop when there was structure in the water and work the area more. I was very pleased to find that many of the trees blown down on the shore line actually extended out a ways into deep water. 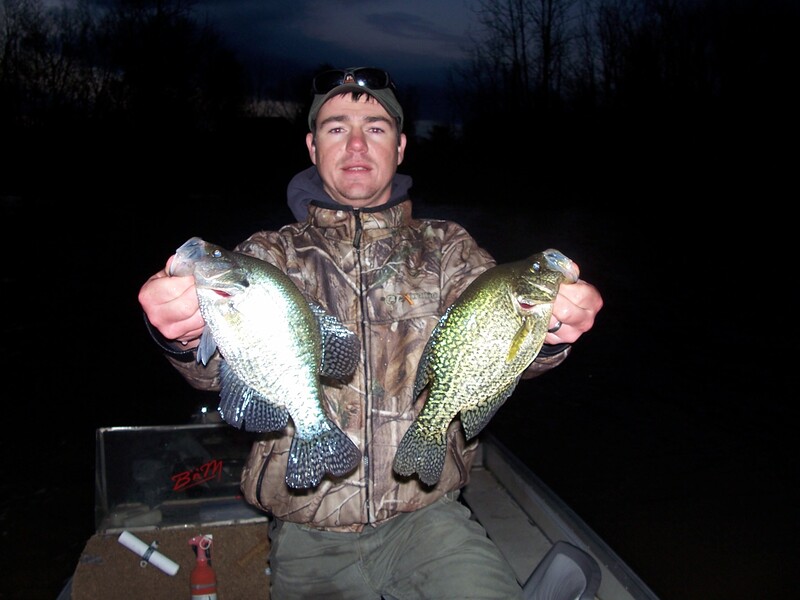 Many of them extended as far out as 15 feet of water which in a crappie fisherman’s eyes is an ideal depth to find crappie holding on structure. Most of the fish that I caught here in the 6-10′ range with hard structure. I was a little discouraged to catch over 40 crappies in my two trips and not one of keeper quality, ok well maybe one was of the legal 8″ inch size. I guess that’s good news for a couple years down the road. I was also able to hook into a few bass, one an acrobat, and way too many pickerel. 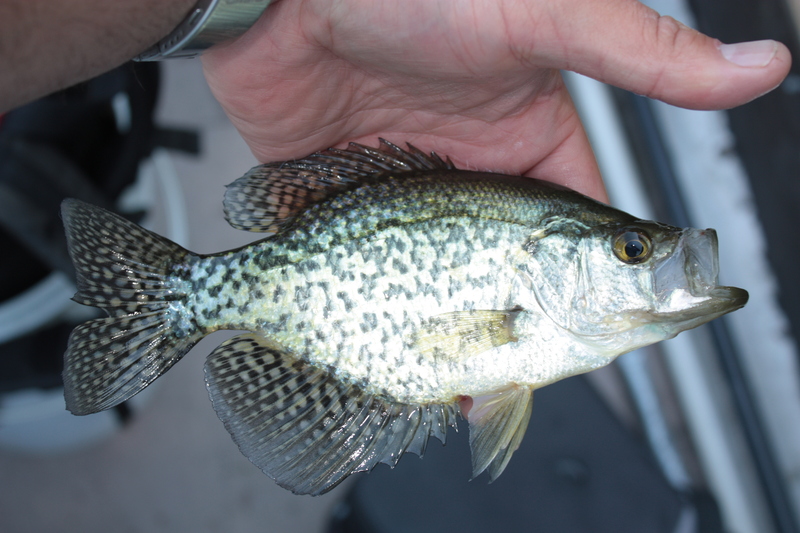 Click on this link to see a GoPro video of a crappie being caught.